Sometimes I forget. Seems like lately it happens more — must be the upcoming 45 year birthday. And the doodlebugs think it’s hilarious. I often have to come back inside, after going to my car at the end of the day, for my phone or my water bottle or to put my outside shoes on. M or B says, “Auntie Liz, what you did freegot?” Then I say something like, “I forgot my outside shoes.” And they say, “Mommy! Auntie Liz freegot her outside shoes!!!! !” I have inside shoes and outside shoes at the doodlebugs house and they are at the age now where they notice everything and usually tell me that I forgot to put one or the other on. To be fair, getting two toddlers ready to go for a walk to the park is a feat in and of itself: putting on sunscreen, socks, shoes and hats; getting the diaper bag and water. 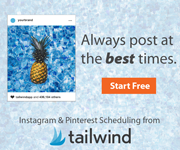 You might know the drill. So when they are finally ready, they are ready and want to go immediately. I often get caught up in that, running around to get what I need and often forget to change my shoes. No worries, though, since before we are even out the door….. “Auntie Liz you freegot your outside shoes!”. Or they will just point at my feet and gasp, wide-eyed, with a smile on their face. Hey, who needs a memory when I’ve got my own reminder service, right? 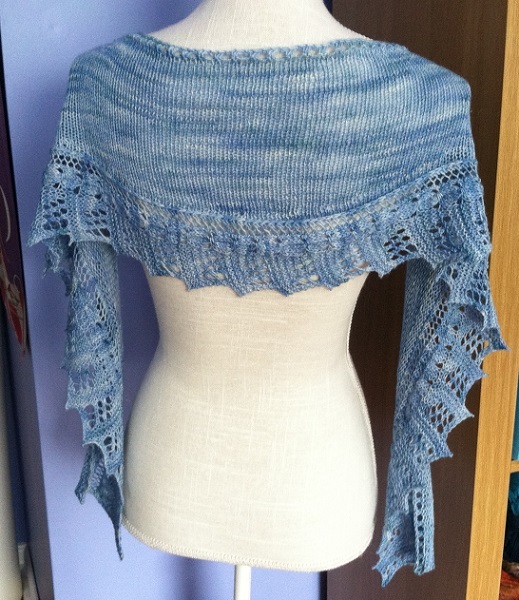 I also forgot to post a picture of my stealth knitting project that is now finished and gifted! Remember this? It’s coming along nicely. I am on row 14 of 48 on these 576 stitches. 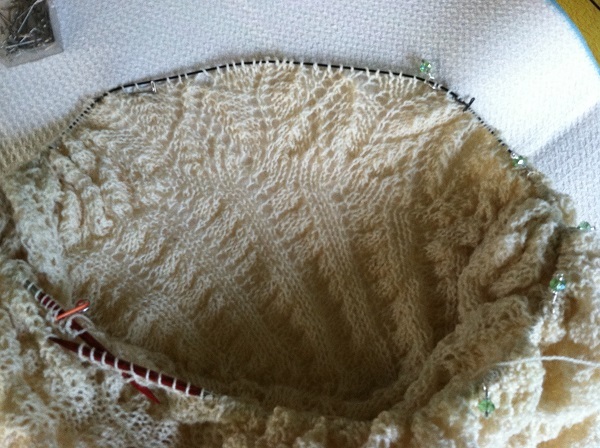 Then it will bump up to 895 stitches for 7 rows. I also forgot something else: Either I forgot to read the finishing (ie blocking) instructions or I read them and I forgot what they said. 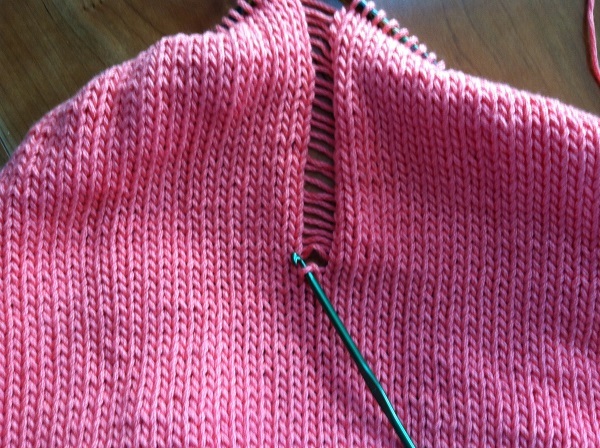 Which is: “The…edging requires a bit more blocking work than usual. There are 64 “waves” and I used 5 pins per wave (320 pins).” Three. Hundred. Twenty. Pins. I can’t talk about it any more. (First of all, I don’t have that many pins. And second of all, I don’t want to buy that many pins And third of all I don’t want to pin that many pins.) I’ll let you know about it when I get to it. And for those of you in the know about blocking, no, blocking wires will not help. First I have to tell you that I am making it in the Periwinkle Sheep Watercolors yarn, in the “Crack in the Sidewalk” colorway. 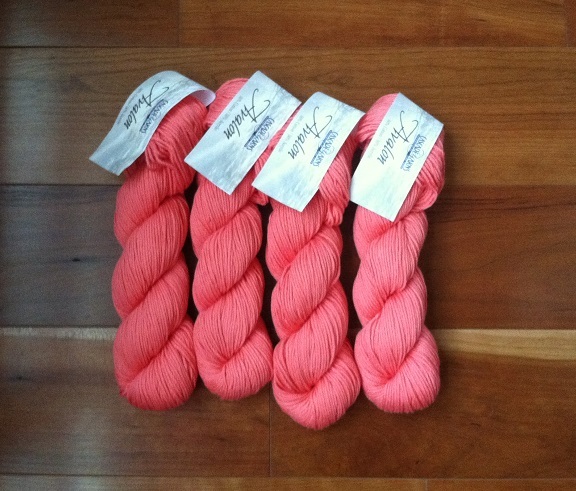 I pretty much bought this yarn because I thought the name was so clever! Doesn’t it look just like grass growing in the cracks of a sidewalk?????? 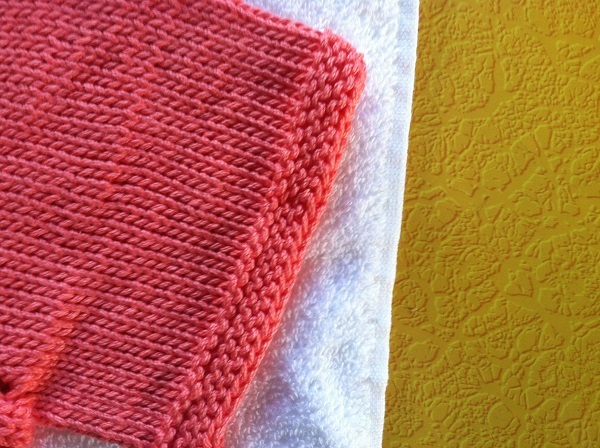 I’m knitting this to teach a class at the end of June. Luckily there is already a sample in the shop (Thanks Robin!) 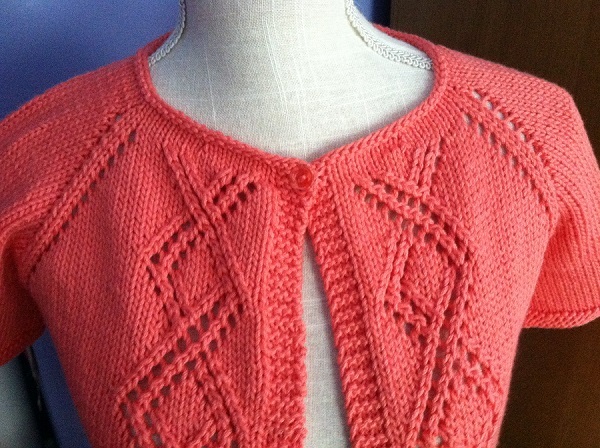 so I don’t have to finish it by then, but I will have to have the body knit. Shawlettes are the spotlight item at the Altamont Fair Wool Nook this year and the Multnomah will be the spotlight within the spotlight. So, The Spinning Room is offering a class to help people knit it and enter it into the fair! Ok, that’s it for today. Hopefully I didn’t forget anything. 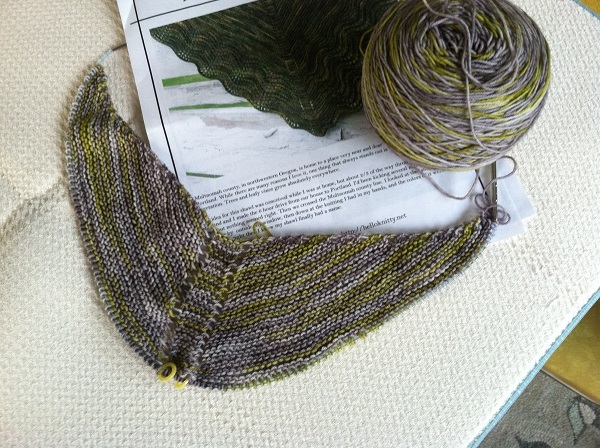 Posted in Uncategorized and tagged ez's 100th anniversary pi shawl, maluka, multnomah, top-down summer lace cardigan on June 6, 2014 by lizytish. 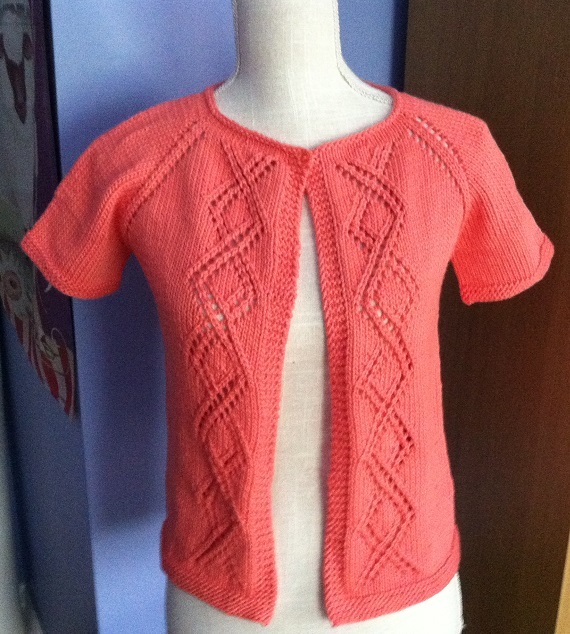 The Summer Cardigan is gorgeous! The color is wonderful, too. The Maluka is so pretty after mods and blocking. I love these stories about the Doodlebugs’ laser-like focus on details and the big picture. They deliver their concerns and observations so politely and with great delight! Crack in the Sidewalk is such a great name for that yarn.